Rites of Battle: Shas'o R'alai: Why oh why? Looks pretty good so far, a Shas'O stat line with the toughness of an XV-9 suit. He has a Pulse Submunitions Rifle with Special Ammunition, Vectored Retro-Thrusters, a Blacksun Filter, two Marker Drones with Blacksun Filters and his 'Eclipse' shield Generator. He is Stubborn, but more on that later. His weapon can fire in four modes, two pretty good, but one is simply bad. The standard shot is two strength 4 ap 5 small blasts that don't allow cover saves. That's pretty good at killing light infantry, but you take him for his special rules, right? He is a unique character after all. Then you get an EMP shell, which is like throwing an EMP grenade, but with ap -, so you get a -1 modifier on the damage table. So what you get with that shot is a hit on a 2+, glance on a 4 or 5 and pen on a six shot. Next we have the Hyper-Density Sabot round and I like this one. It gets an extra 12" on all the other shots, bringing it up to a 36" range. It's a strength 9 ap 3 shot, which isn't bad, but doesn't really measure up to other Tau vehicle killing weapons. Finally we have the Ionic Cluster-Beam Shell and that's a mouth full. It's a strength 4 ap 4 large blast that rends. It's not bad at killing 4+ armored infantry and can generally reduce the unit's cover save by one because of R'alai's two marker drones. Then we have the Eclipse generator and, thank the ethereals, it doesn't make him sparkle! In fact, it kind of does the opposite. It always gives him a 4+ invulnerable save and if he stays stationary for a turn he counts as having a Stealth Field Generator when he's fired at next turn. This affects his Marker Drones if he's by himself and he will get the stealth field if he starts on the table and your opponent gets top of turn one. As with all stealth fields it only applies if all non-drone models in the unit have a Stealth Field Generator. Now let's see why I don't really like him. To put it simply, most of his rules are either wasted or counterproductive. First, his Stubborn USR will hurt him unless your looking at temporary negatives to leadership. In the shooting phase unless your hit with devourers or markerlights trying to pin you, everyone already has Stubborn. In the assault Stubborn hurts his chances to run away from combat and let the rest of the army kill whatever killed him, if he gets into combat. He could be a tank, but will eventually lose combat and Tau can only hope he holds up enemy units until their opponent's next turn. Next, his Marker Drones really hurt him and increase his points massively. Marker Drones are 30 points a piece, admittedly you don't have to pay more for them, but they aren't that great. And then you look at why you want one to die: majority unit toughness. Unlike Shield Drones who take the toughness and armor save of their controller and get a 4+ invulnerable save, Marker Drones are toughness 3 with a 4+ armor save and no invulnerable save. Because they are inseparable from R'alai you have a unit with one toughness 5 model and two toughness three models, making the majority toughness 3. That means a lasgun will wound on a 4+ instead of a 6 and a bolter on a 3+ instead of a 5+; that's a big difference. Finally, his Special Ammunition. The standard shot is actually pretty good, as is the Cluster-Beam Shell, especially with markerligts to strip away cover saves. The EMP shell is horrible, unless you want to shoot it, and the rest of his unit, at a Land Raider or a Monolith, and then you're getting a -3 on a glance and a -1 on a penetrating hit. The Sabot round is good, but not compared to a railgun, which you have in your army. The real problem is that, except for the standard shot they all have the Gets Hot! rule. Admittedly that's only on a roll of a 1 and he hits on a 2+, but even though it's 'experimental' it doesn't make sense that Tau engineers would make that. They figured out how to make plasma that doesn't overheat, but a sabot round (essentially a dart) does? Is he cool? Hell yes he is! But is he worth his 225 point cost? I'm not sure. If I buy Hazard Suits I'll probably buy him too, just to have a Hazard Suit commander. So that's Commander R'alai, what do you think of him? I believe these suits have hit and run built in. So that stubborn is actually very awesome. Thank you Luke! You caught me there and made me more aware of the rules set. I was about to say how needing to win a contested Initiative rolloff with majority I 3 was a losing proposition, but then I looked up the rules. Essentially rolling a 4+ with a team or a 3+ solo to leave combat at the end of your opponent's turn is very nice. Still better to not be in CC, but that makes it a viable delaying tactic. Good on you Luke! If you dump his drones the hit and run is automatic. I think he is nice, but his point cost would probably be better at 190points instead of just shy of a land raider. 190 sounds like a good cost. 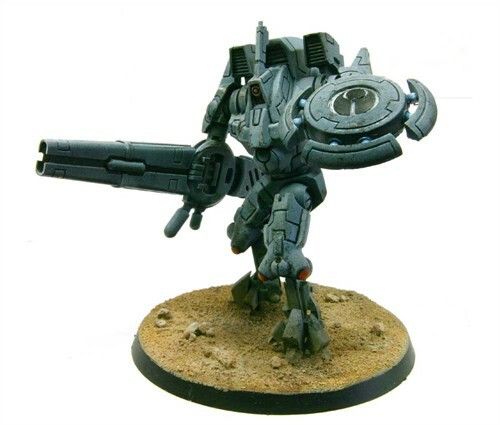 The extra toughness and lack of limitations make him better than Farsight in my opinion, but I still don't get them wanting to make more CC Tau characters. It is probibly less combat monster and more of a combat staller. T5 with a 3+ save really helps you survive for a combat or two. Also with the ability to hit and run, you can lock up a unit for a turn, run and smash them with the fire power of god. If they are still alive than you can assult them again. My question is that whether he can join other units or if he and his drones count as an entire unit. Because if he is stuck with a 3 man unit at majority tough 3 he is probably just going to get run over by sheer volume of attacks directed at him. Also, while his gun's modes do a little bit of everything, everything they do is done better by a different gun in the army, and for less points. Great point Matt. For some reason Independent Character isn't listed in his special rules, but is included under the Stalwart Commander rule. As of now only Commander Shadowsun has a drone retinue that prevents her from joining another squad. I think your last sentence sums him up quite well. 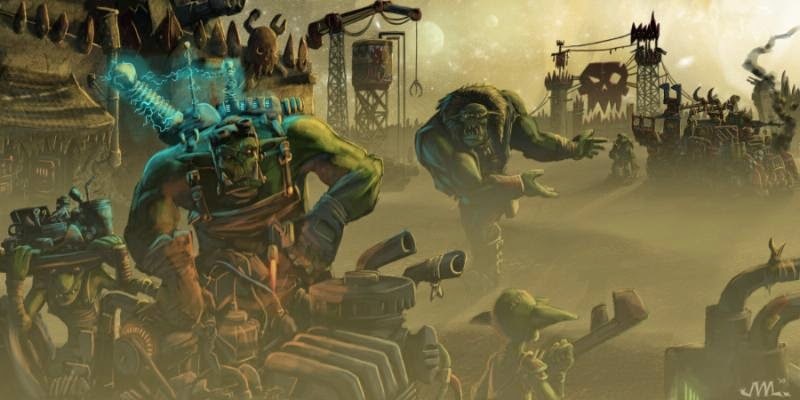 I think what this character is, along with other forgeworld characters, is exactly what this game needs more of. I will grant that yes there are other weapons in the army that do things better, but he is not a powerhouse of awesome that standard GW seems to think characters need to be. These characters are meant to be balanced and above all else made for apocalypse. You shouldn't have powerhouse characters like Valkan in this scale of a game where the major damage is already sitting in super heavy and titan form.